Half Term is coming up and if you’ve decided to go on a Great British staycation, so are the dreaded long car journeys with the little ones. So with a little inspiration from our Brainy Benefits of Bedtime Stories post and the fact that it’s the Children’s Book Swap tomorrow we looked into the best audiobooks around (that we haven’t already heard) as a way to keep the kids occupied this Half Term and beyond. 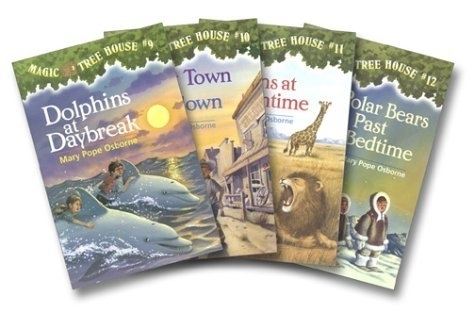 Magic Tree House Series by Mary Pope Osborne – Siblings Jack (age 8) and Annie (7), who discover that a tree house in the woods near their home can transport them to different places and historical periods. The children are sent all around the globe to achieve specific goals, usually to rescue an important historical document. They are all highly entertaining and educational. 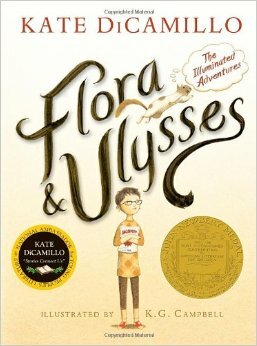 Flora and Ulysses: The Illuminated Adventures by Kate DiCamillo – 2014 Newbery Medal winner This engaging tale of 10-year-old “natural-born cynic” Flora and her friend Ulysses, a squirrel who suddenly acquires superpowers, is charming, funny, and poignant. To the chagrin of her romance-novelist mom, 10-year-old Flora spends a lot of time reading comic books, especially the adventures of a meek janitor who’s secretly the superhero Incandesco. After rescuing a squirrel from a vacuum-cleaner mishap the two of them are instant soulmates, but their relationship is complicated by the fact that her mom wants to kill him. 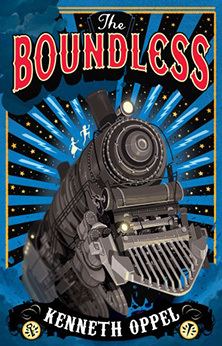 The Boundless by Kenneth Oppel – The greatest train ever built, is on its maiden voyage across the country, and first-class passenger Will Everett is about to embark on the adventure of his life! When Will ends up in possession of the key to a train car containing priceless treasures, he becomes the target of sinister figures from his past. In order to survive, Will must join a traveling circus, enlisting the aid of Mr. Dorian, the ringmaster and leader of the troupe, and Maren, a girl his age who is an expert escape artist. With villains fast on their heels, can Will and Maren reach Will’s father and save The Boundless before someone winds up dead? 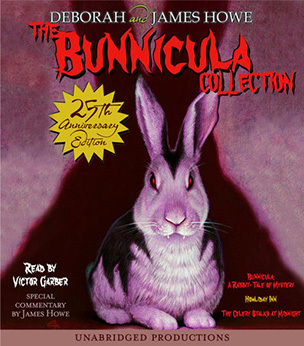 The Bunnicula Collection by James Howe – Is the bunny hutch harbouring a vampire? The Monroes’ pets are on patrol for the answer. Farcical and hilarious, this series wins its audience with silly situations, an amiable flirtation with daring subject matter, and eccentric behaviour dropped into a conventional setting. 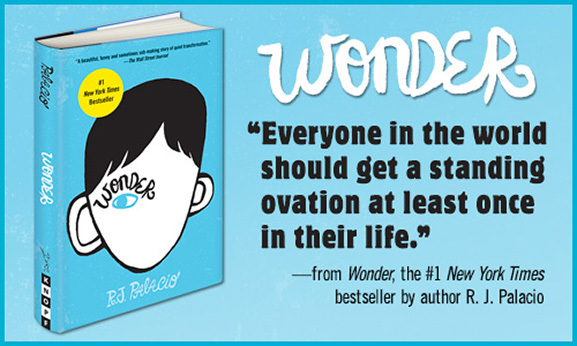 Wonder by R.J. Palacio – August Pullman is a fifth-grade boy with a severe facial deformity. His loving parents and sister have shielded him from many outside influences but his mother has decided that it’s time for Auggie to brave a real school experience. Auggie is upset and afraid to face the kids’ reactions to his appearance, but there’s also part of him that wants to do “normal” things. The novel follows Auggie’s first year of middle school from beginning to end. It’s a year in which Auggie experiences the best and the worst of human nature and a year of tremendous emotional growth for him. 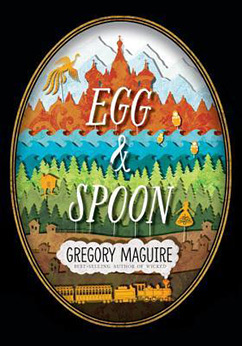 Egg and Spoon by Gregory Maguire – Cat’s taking a train across western Russia to deliver a precious gift to the tsar. Elena’s a peasant tending her ailing mother in a tiny village that’s quickly running out of food. Cat’s train gets stuck in Elena’s village, and the two strike up an unlikely friendship. Eventually, the train gets moving again, but Cat and Elena have accidentally switched places. Their improbable journeys, together and apart, take them into the presence of the tsar himself, to the arctic circle to talk with an ice dragon, and into the home of none other than the notorious witch Baba Yaga. If they can put things right, there just might be hope for the world. 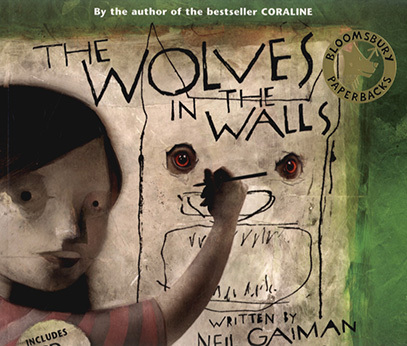 The Wolves in the Walls by Neil Gaiman – Lucy hears wolves hustling, bustling, crinkling and crackling in the walls of the old house where her family lives, but no one believes her. Her mother says it’s mice, her brother says bats, and her father says what everyone seems to say: “If the wolves come out of the walls, it’s all over.” Lucy remains convinced, as is her beloved pig-puppet, and her worst fears are confirmed when the wolves actually do come out of the walls. The Underland Chronicles by Suzanne Collins – An awesome treat from the writer of The Hunger Games trilogy. This is a series of 5 epic fantasy novels. It tells the story of a boy named Gregor and his adventures in the “Underland”, a subterranean world located under New York City. The Underland is inhabited by humans who travelled below hundreds of years ago, along with various giant versions of creatures like bats, cockroaches, and rats. 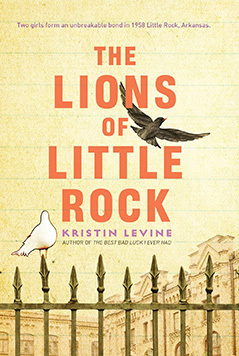 The Lions of Little Rock by Kristin Levine – As twelve-year-old Marlee starts middle school in 1958 Little Rock, it feels like her whole world is falling apart. Until she meets Liz, the new girl at school. Liz is everything Marlee wishes she could be: she’s brave, brash and always knows the right thing to say. But when Liz leaves school without even a good-bye, the rumour is that Liz was caught passing for white. Marlee decides that doesn’t matter. She just wants her friend back. And to stay friends, Marlee and Liz are even willing to take on segregation and the dangers their friendship could bring to both their families. 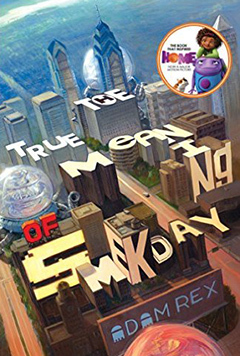 The True Meaning of Smekday by Adam Rex – The book that inspired the movie Home. It all starts with a school essay. When twelve-year-old Gratuity (“Tip”) Tucci is assigned to write five pages on “The True Meaning of Smekday” for the National Time Capsule contest, she’s not sure where to begin. When her mom started telling everyone about the messages aliens were sending through a mole on the back of her neck? Maybe on Christmas Eve, when huge, bizarre spaceships descended on the Earth and the aliens – called Boov – abducted her mother? Or when the Boov declared Earth a colony, renamed it “Smekland” (in honour of glorious Captain Smek), and forced all Americans to relocate to Florida via rocketpod?